Ginger nuts, ginger snaps or simply ginger cookies are my all time favourite. I remember when my mum or dad would buy the huge assorted biscuit box from House of Manji, we all had our favourites. I loved having the ginger nuts and the nice biscuits. 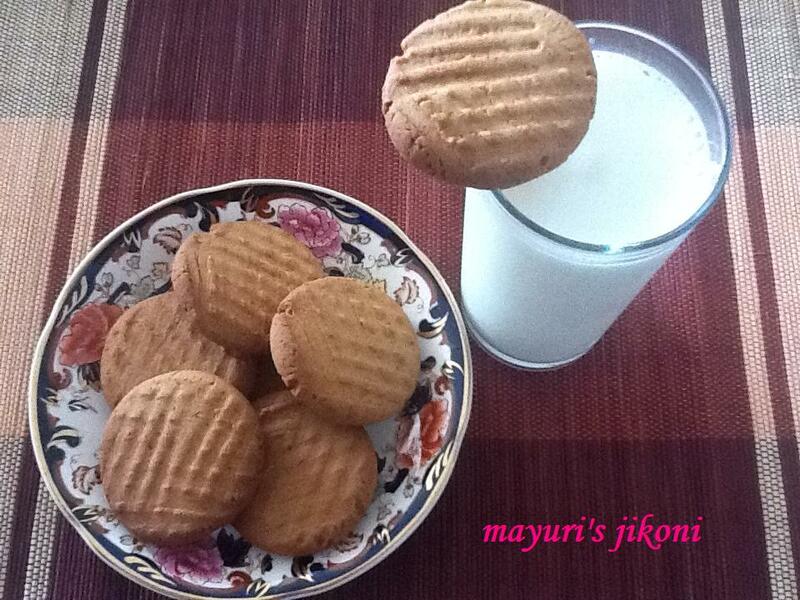 Nowadays buying cookies either from the House of Manji or Britannia brand locally, is a waste of money. They are raw, taste like cardboard and most of them are broken even before the packet reaches home. So, missing my ginger nuts especially to dunk into a hot mug of tea, I dug up my recipe and baked some. The first lot I baked disappeared pretty fast. I doubled the recipe when I baked some cookies for my sister’s family. Ginger nuts are not everyone’s cup of tea, as they can be hard but soften easily if dunked in tea, coffee or milk. No one really knows why they are called ginger nuts but most speculate that they are named so as they are hard as a nut. I added a bit of fresh ginger paste to make it more gingery. Grease baking tray using some butter. Put butter, golden syrup and sugar in a pan. Cook it over medium heat till the sugar is dissolved, stirring frequently. Let the mixture cool. Add the ginger paste and mix. Sieve flour and ginger powder together in a large bowl. Add the melted mixture and form a dough. Take a teaspoonful of the dough and roll it into a ball. Place it on the greased tray and flatten it slightly using a fork. Repeat steps 7 and 8 till all the dough is used up. Remember to place the cookies at least an inch apart. Remove the tray from the oven and let the cookies rest on the tray for 2 to 3 minutes. If you don’t like the cookies too gingery, then do not add the fresh ginger. Remove the cookies a bit early if you like soft middles. Self raising is plain flour, salt and baking powder mixed together. If you do not get any self raising make yours at home by simply sieving 1 cup of plain flour (all purpose flour), 1½ tsp baking powder and ¼ tsp salt. If the dough sticks to your hand while rolling, wet your hands and roll.